In every issue of The Portal, we invite our authors to share their experiences, success stories, learning experiences, and vision with others in the moving and forwarding industry. In addition to our regular columns, feature articles for each issue are united by a central theme. This page contains the theme, guidelines, and deadlines for the upcoming issue of the magazine and will change regularly. Our editorial calendar will give you a glance further into future issues, and the Submit Your Story page details regular columns to which you may submit articles and news, as well as our submission guidelines and instructions. 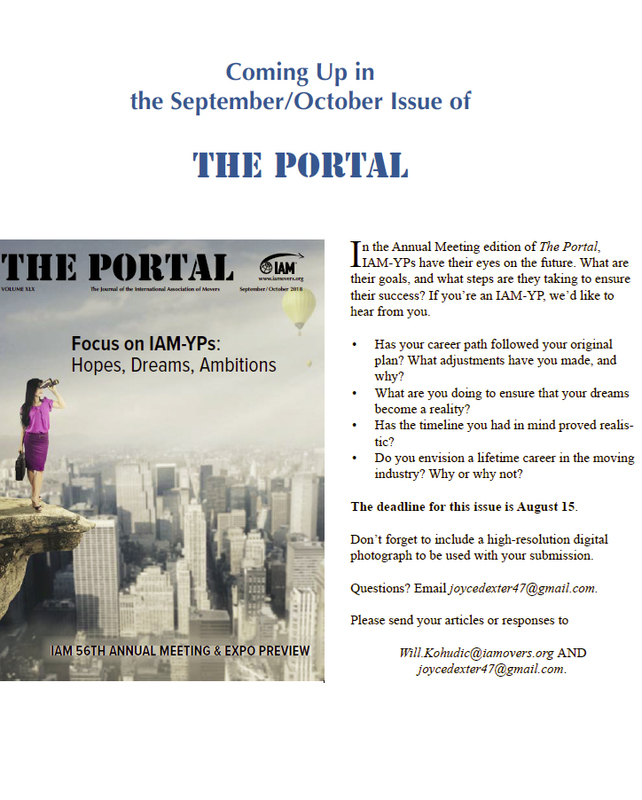 The deadline for the September/October 2018 issue of The Portal is August 15, 2018.